The Frederick Jackson Turner Award is given annually by the Organization of American Historians to the author of a first scholarly book dealing with some aspect of American history. Authors who have previously co-authored a book of history are not eligible. Each entry must be published during the period January 1, 2015 through December 31, 2015. One copy of each entry, clearly labeled “2016 Frederick Jackson Turner Award Entry,” must be mailed directly to the committee members listed below and must include a complete list of the author’s publications OR a statement from the publisher verifying this is the author's first book. No submission will be considered without this proof of eligibility. Each committee member must receive all submissions postmarked by October 1, 2015. The final decision will be made by the Frederick Jackson Turner Award Committee by February 2016. The winner will be provided with details regarding the OAH Annual Meeting and awards presentation. Pacific Islanders and the American Civil War at the World War II Valor in the Pacific National Monument. This lecture/discussion is scheduled for the evening of July 17 at the World War II Valor in the Pacific National Monument. Time: 6:00 p.m.-8:00 p.m.
We recommend this Think Tech Hawaii interview with Justin Vance on the same subject. 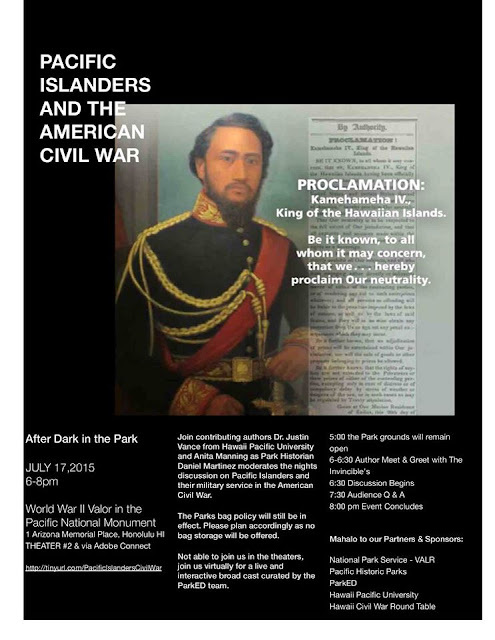 History Education Hawaii strongly recommends this event. We hope to see you there! The results of The Nation’s Report Card: 2014 U.S. History show that many U.S. students lack a strong understanding of our nation’s history: Only 18 percent of eighth graders performed at or above Proficient on the latest NAEP assessment. 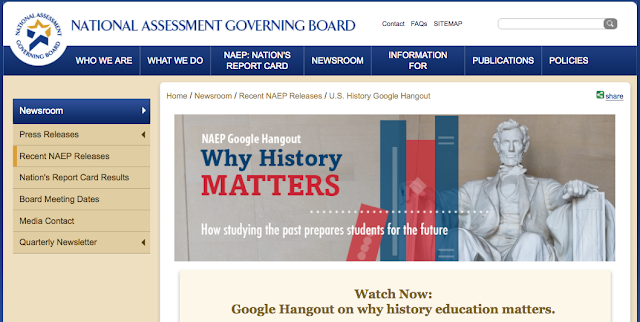 Watch our Google Hangout (Click here) about the implications of these results and the importance of history education in helping our students to become engaged, informed, and productive citizens.